This book introduces social scientists to the ideas of George Herbert Mead (1863-1931) - one of the most original yet neglected thinkers of early twentieth century sociology. Mead is an exceptional case amongst sociological classics in that, until now, there has been no comprehensive reader of his work. As the first one-volume, comprehensive edited collection of Mead’s published and unpublished writing, this book fills this gap. It is the first to critically assess all of Mead's writings and draw out the aspects that are central to his system of thought. The book is divided into three parts (social psychology, science and epistemology, and democratic politics), comprising a total of 30 chapters - a third of which are published here for the first time. G.H. 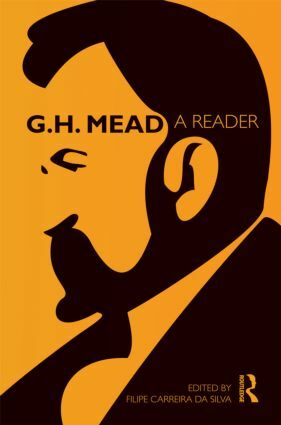 Mead: A Reader provides a unique and timely contribution to the understanding of this key theorist. It is essential reading for both undergraduate and postgraduate students in the fields of sociology, social psychology, philosophy of social science, social and cultural anthropology, and social and political theory. Filipe Carreira da Silva is a Research Fellow at the Institute of Social Sciences at the University of Lisbon, Portugal, and Senior Member of Wolfson College, University of Cambridge, UK. He is the author of Mead and Modernity: Science, Selfhood and Democratic Politics (2010 Distinguished Scholarly Publication Award, Section on the History of Sociology, American Sociological Association).